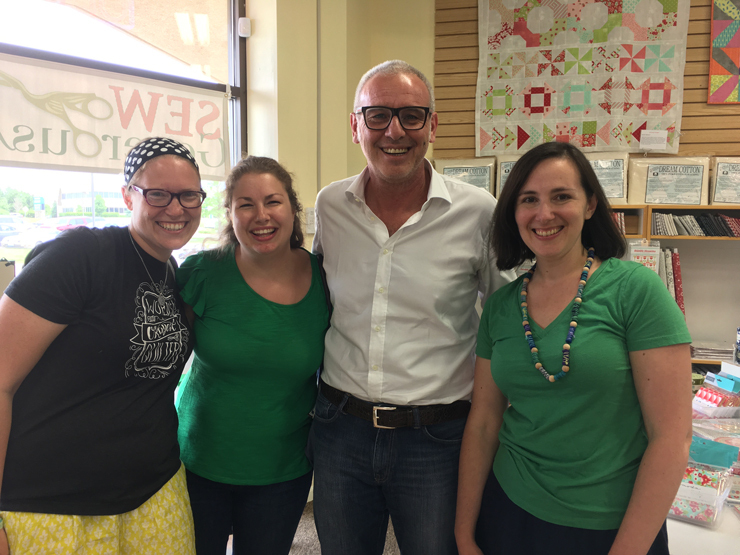 The other week Alex Veronelli, the CBDO of Aurifil Threads came to Sew Generously, a local quilt store in St. Charles, IL. Mollie, Faith, and I met up for lunch and then headed to the quilt shop. We had all previously interacted with Alex on social media so we were all excited to meet him. The beginning of the lecture was like an episode of How It’s Made. Alex showed a video of the thread production process and all the different steps. I find it absolutely fascinating to watch factory video tours, I love seeing the machines that someone invented to do one specific task. 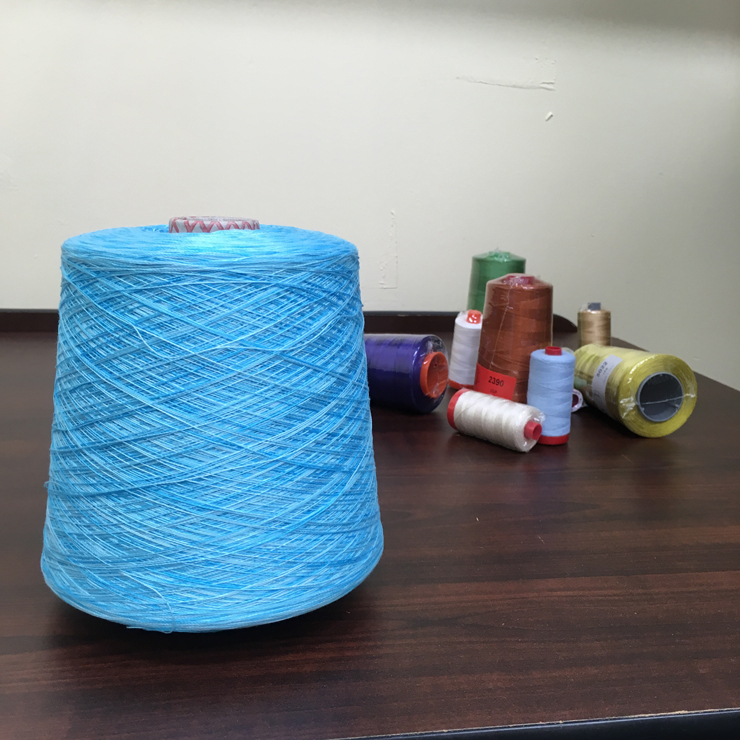 I had never thought about how thread gets made, but it was incredible to see how much goes into it. 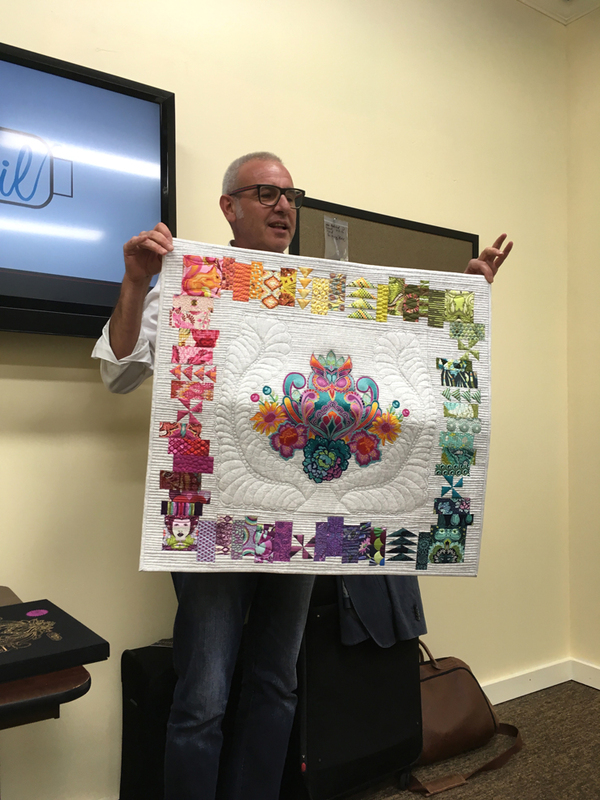 Next Alex showed off different Aurifil threads and quilts that had been made with them. There were so many amazing ones and I just want to make a million quilts now. This was a Tula Pink rainbow sampler quilt. And then he showed off the Tula Pink ultimate collection and I considered if I could smuggle it out of the store. The colors are amazing. 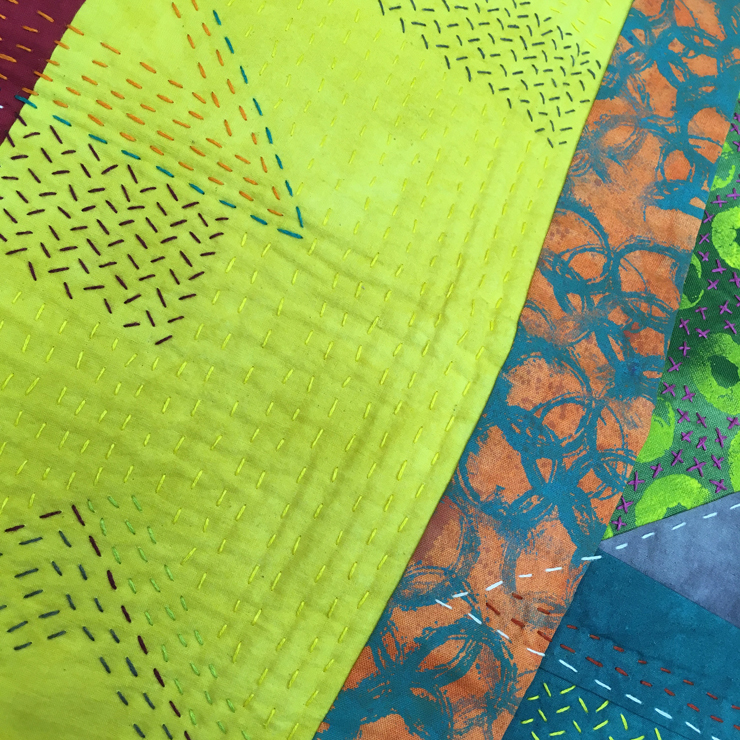 This one made me want to play around more with hand quilting. Each of these triangles is a cluster of French knots done with varying strands of Aurifloss. The top one is just 1 strand and the bottom is all 6. 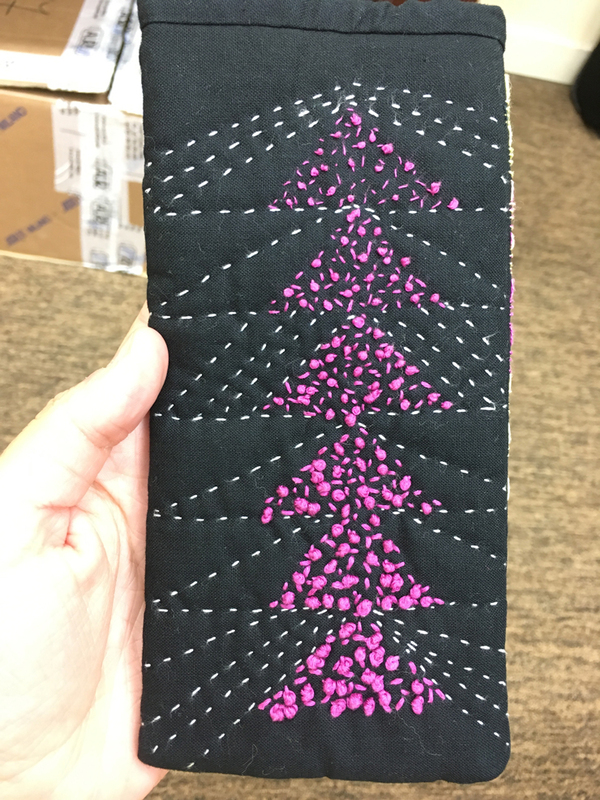 This was the other side, I love the look of the different thicknesses of thread using the same stitches. You might see me making something like this soon, I just love it so much. 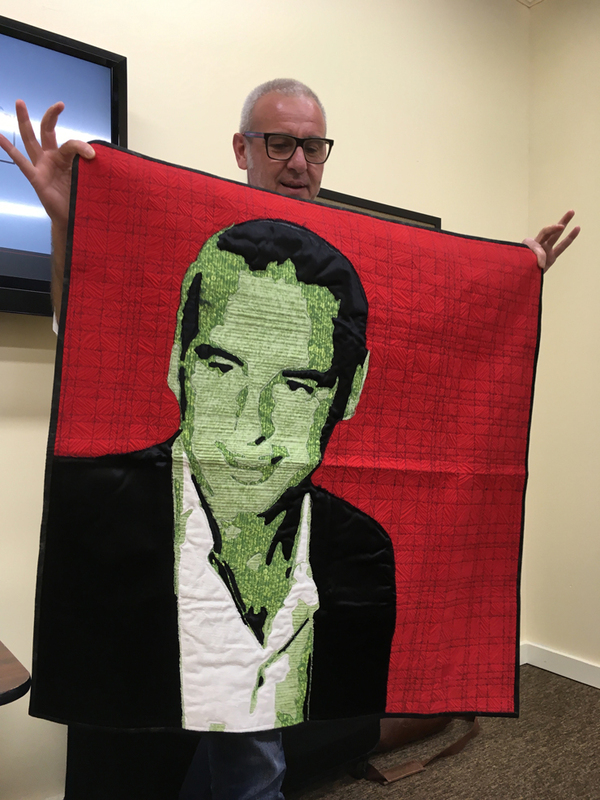 Someone made a quilt with a picture of Alex to give to Alex as a gift. The quilting on this was really incredible. 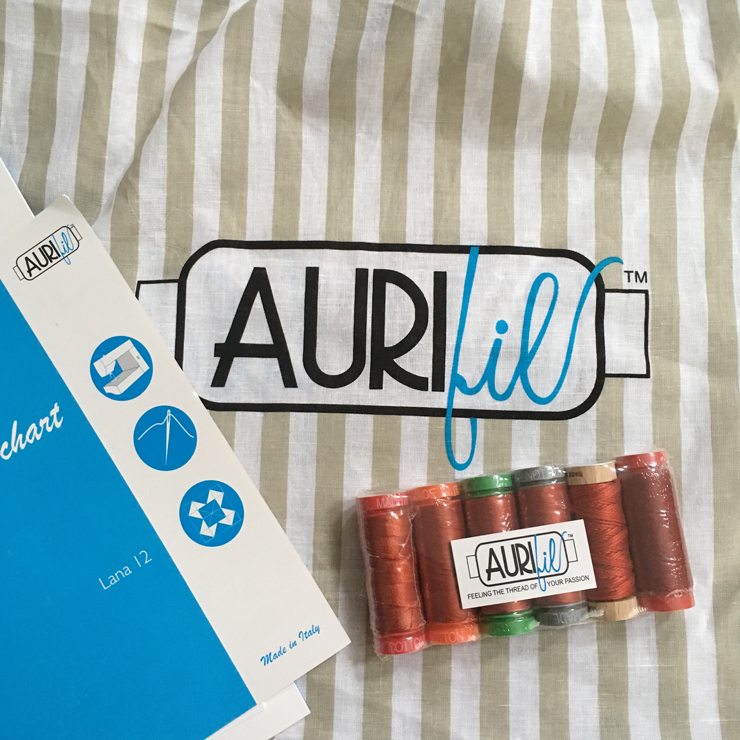 Everyone got an Aurifil bag with threads in all the different weights to try. Alex goes around to quilt stores throughout the country doing these presentations and if he’s in your area you should definitely stop by. 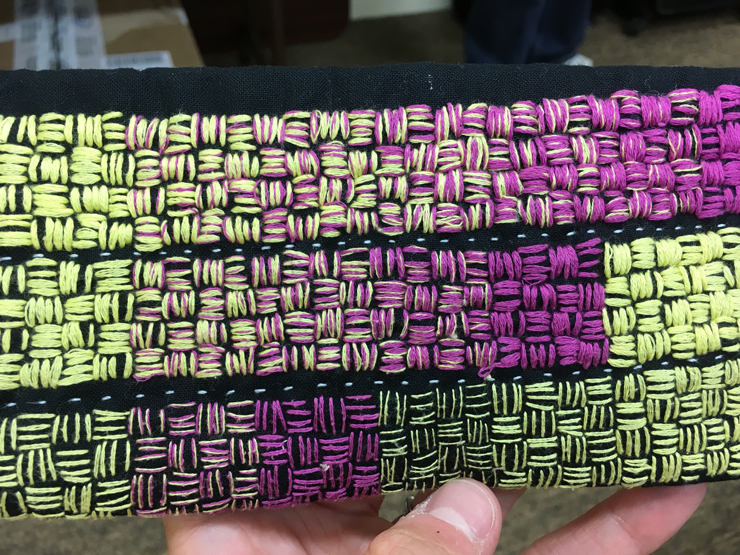 It was really interesting to see everything that goes into making the thread and it really gave me an appreciation for good quality thread and the extra work involved. 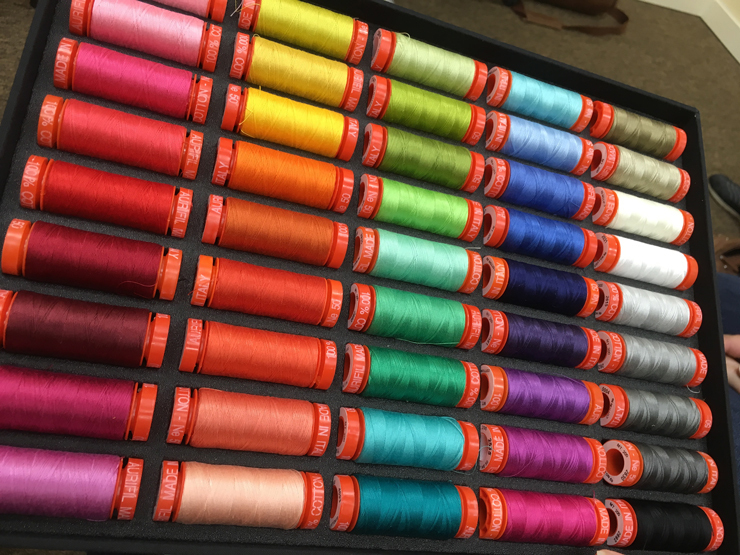 Alex is extremely passionate about Aurifil and you can see how much pride he takes in the company and the thread they produce. Alex is back in Italy now but it looks like he will be doing more presentations in the US in July. You can follow his Facebook to see if he’s going to be at any stores around you. Rebecca, I love the crosshatch stitching. I want to try that out! Thanks for sharing your experience! What an awesome experience! I will have to keep and eye out to see if he is ever around my neck of the woods!